I spent this past weekend in New York celebrating my mother’s 80th birthday. (Don’t tell anybody how old she is, it’s a secret) Manhatten is a fabulous city. More shops, restaurants, skyscrapers and theaters than you can see anywhere in the world. 18,000 yellow taxis on an island that is only 2 miles wide and 13 miles long and teeming crowds of people in the streets literally 24 hours a day. Times Square is one of the busiest and most exciting places that I have ever visited. City by-laws require that at least 20% of every building MUST be covered with illuminated signs. 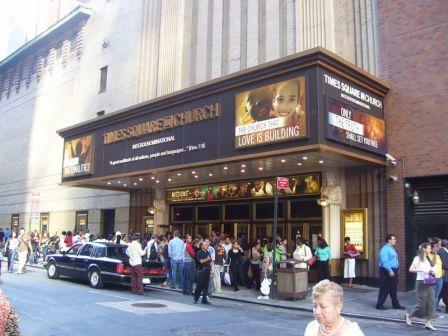 There is one hot spot that you won’t read about in the tourist brochures – Times Square Church. The church was founded in 1987 by David Wilkerson. If that name rings a bell, it should. 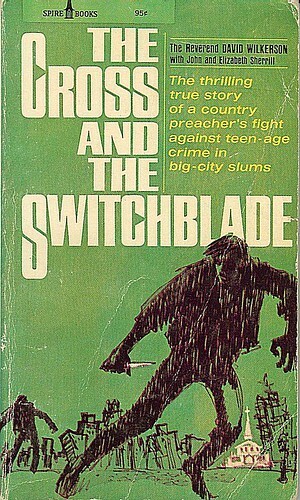 Wilkerson is best known for his book The Cross and the Switchblade. In 1958 he came to New York specifically to try to share the gospel with 7 youths accused of murder. It’s an incredible story detailed in his book. If you haven’t read it you should. God used him tremendously in those early years and eventually he founded Teen Challenge, arguably one of the most effective drug and alcohol program of all time. Today there are 550 centers around the world. In 1987 Times Square was not the popular tourist spot it is today. The economy was struggling and the area was shabby and dangerous having been overrun with pimps, prostitutes, drug dealers and X-rated theaters. Wilkerson felt led by the Spirit to establish a spiritual presence in the area and founded Times Square Church. In 1991 he purchased the Mark Hellinger Theater for $17 million. 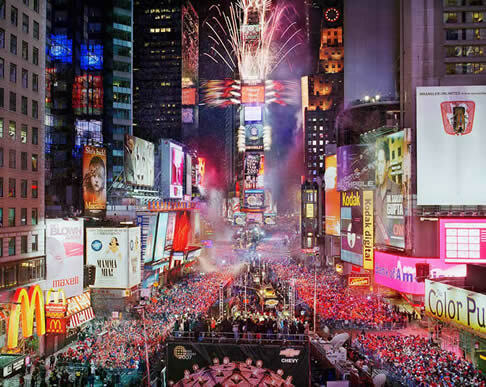 It is right in the heart of Times Square and is one of the biggest and most prestigious theaters on Broadway. The arts community was appalled at the time having lost their flagship venue and has been trying to buy the theater back now that Broadway is back in vogue. The latest offer was $50 million. The church is not selling, they are still on a mission. On Sunday morning I took my mother to the 10 AM service and the place was standing room only. There was 1600 people in the theater and another 1600 in the annex next door watching it on video screens. Although in general, the service was a little traditional for my tastes, I was wholly impressed with what they are doing. They have 3 packed out services every single Sunday. The worship band was as good as any other band on Broadway and the 100 person choir brought tears to my eyes as I realised that God was being praised in a city where most people worship the almighty dollar. Unlike many places in the new world, New York was not founded by people seeking religous freedom. It was a established as a Dutch colony by people looking to make money. To this day you can literally feel the presence of a spirit of greed. It is a very expensive place to visit (or live) and eventually you just become numb to how often you have to open your wallet and part with your money. Time Square Church was the one place I felt like I wasn’t spending my money but investing it. A great missionary once said, “Don’t give me a little cabin in the corner of glory-land, but an outpost at the gates of hell.” I pray that more and more churches, like Times Square Church, would see that as our mission.